Sophisticated care and medical procedures and with 12 emergency suites, we have a greater emergency capacity than some Knoxville hospitals. That means quicker, easier access when time is critical. A helipad for emergency transportation. State-of-the-art imaging, including MRI, CAT, X-ray and nuclear medicine tests. Our women’s imaging department offers mammograms, ultrasounds and bone density testing. Covenant Health has been committed to Loudon County since 1988. In 2004, the new Fort Loudoun Medical Center, a $29 million facility, replaced Fort Sanders Loudon Medical Center, which was located in Loudon and served the community for many years. 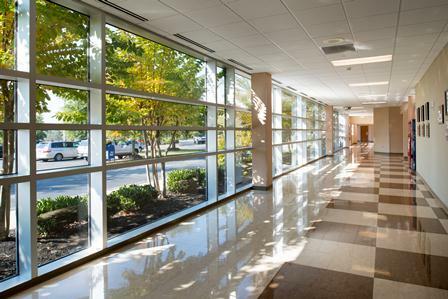 Fort Loudoun Medical Center is one of nearly 30 member organizations of Covenant Health, which includes acute care facilities, outpatient clinics, specialty and home care, and other services. Covenant Health brings a tradition of quality to the communities we serve. State-of-the-art imaging: X-Ray, CT, MRI and nuclear medicine. Complete with a Picture Archiving and Communications System (PACS) allows for the capture, storage and transmittal of images by computer. Emergency Department complete with 12 private suites open 24-7, 365 days a year. Surgical suites for endoscopy; ear, nose and throat; gynecology; ophthalmology; orthopedic; podiatry; pulmonology, and general non-invasive procedures. If you have questions about how Fort Loudoun Medical Center can serve your individual needs, call 865-271-6000.